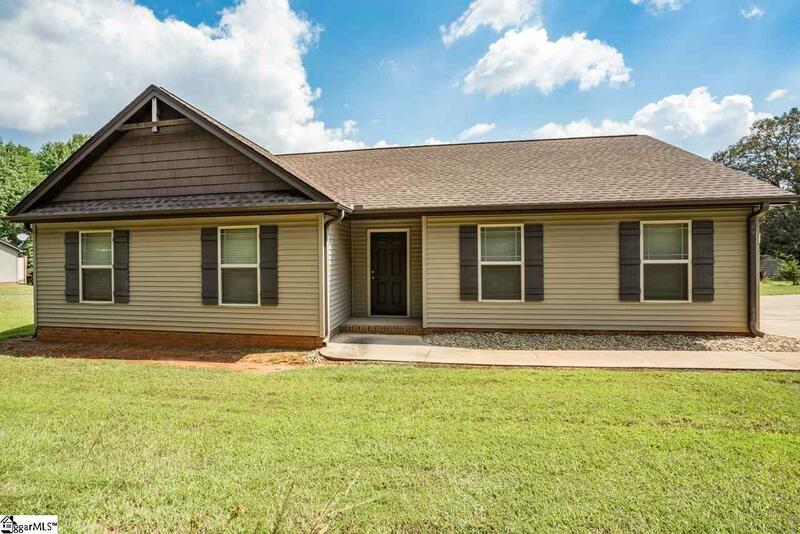 Don&apos;t miss this charming 3 bed/2 bath ranch home on over half an acre! Only 7 years old, this home has been very well maintained including a new roof in 2017. At just over 1200 sq ft, this home feels very spacious with vaulted ceilings in the living room that opens up to the kitchen. Off the kitchen is a covered back porch that is perfect for family gatherings or watching the kids play in the backyard. While enjoying the serenity of country life, you can still take advantage of the close proximity of downtown Greenville just 30 minutes away and downtown Travelers Rest just 10 minutes away. Possible USDA financing available.